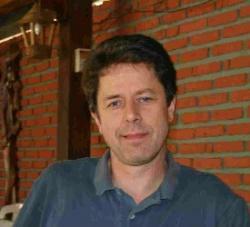 UC Santa Cruz Phyics Professor Robert Johnson has been named a Fellow of the American Physical Society. Fewer than 1/2 of 1% of APS members are elected as fellows in any given year. Professor Johnson is being honored for his leadership of the design and implementation of the Fermi Large Area Telescope (LAT) Tracker.